I've gathered together the tons and tons of textures I've made for the Quakes over the years from the various directories, archives, and CD-Rs that follow me from apartment to apartment and hard drive to hard drive, and made them available as downloads separate from the maps for which they were made. 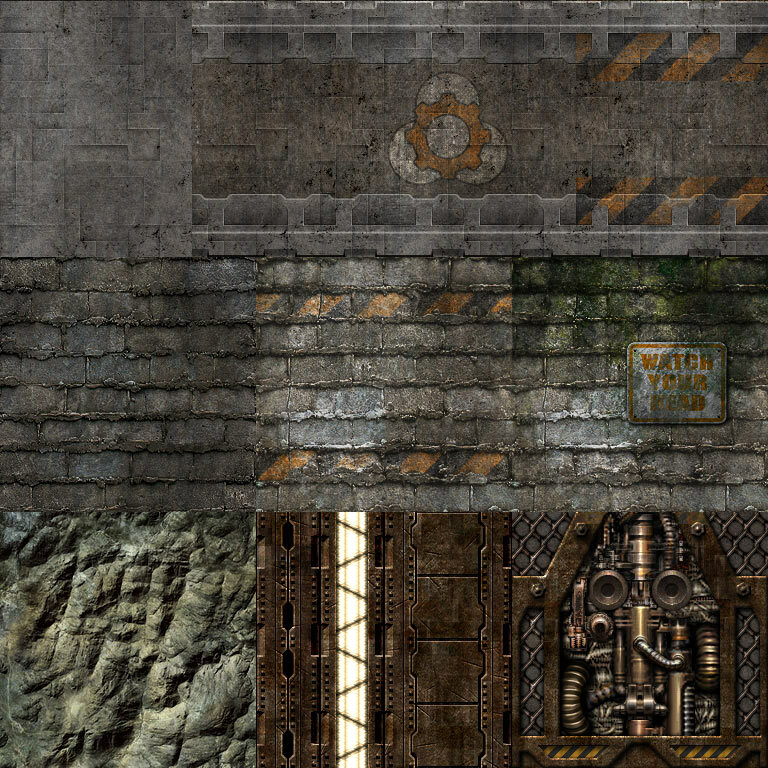 Nearly every set includes some unused textures that weren't seen in the original, and some sets were never used in a map at all. 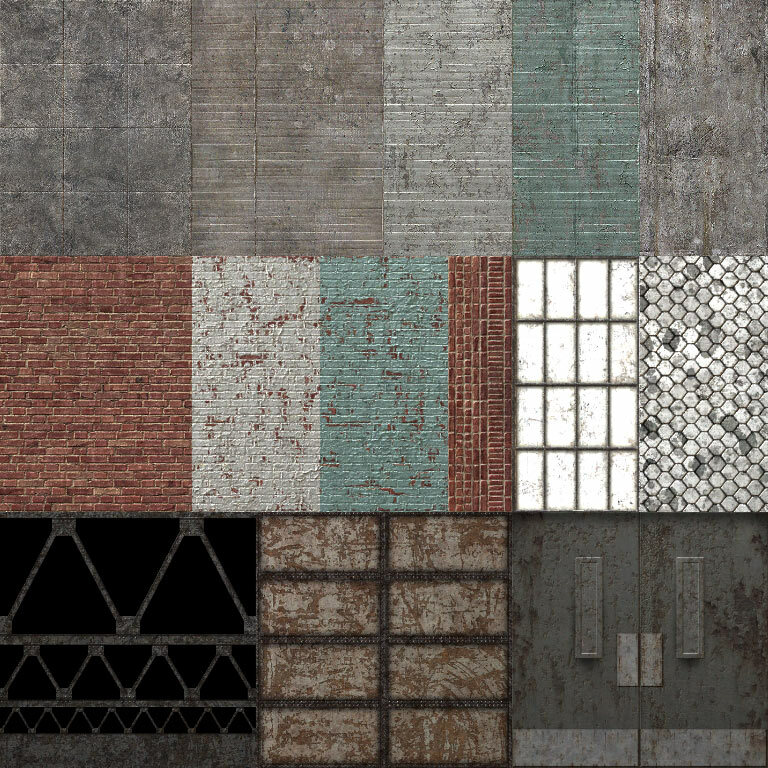 Rules for these textures are the same as they've always been: you're welcome to use them in any map or project you want provided it's not going to make anyone any money. Created in summer of 2006 as a standalone set. 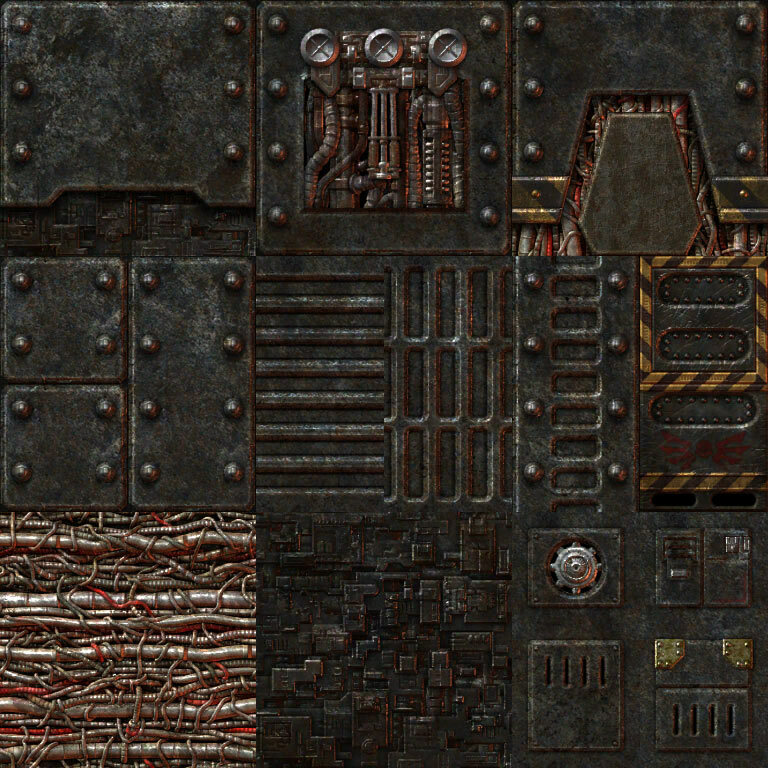 Based very closely on the Quake2 E2U3 Powerplant textures. Looks very cohesive thanks to being almost entirely black greasy metal, making fanciful brushwork sculptures fun and easy. 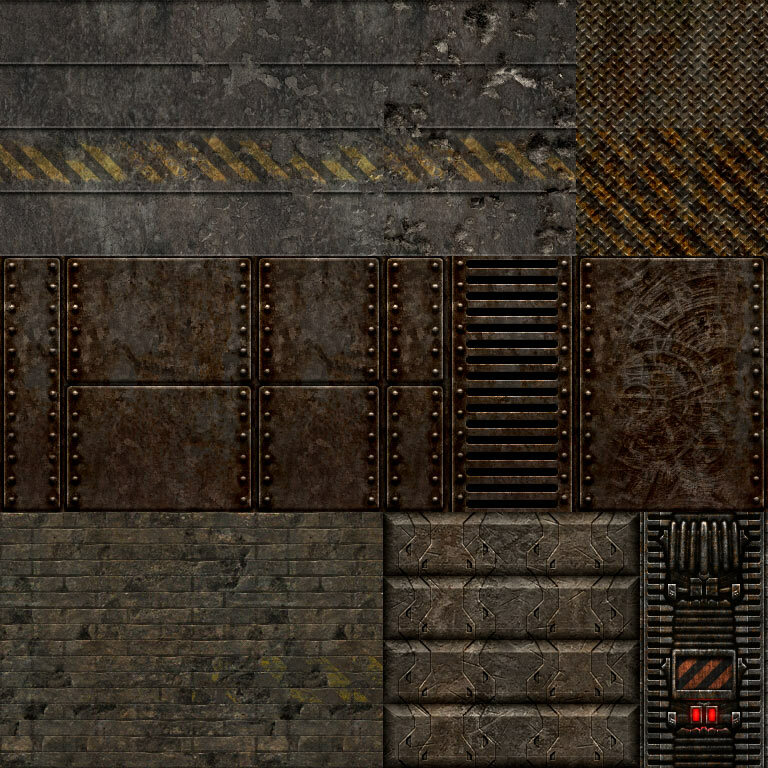 Also includes a static mesh for weapon pads or other decoration, styled after Quake2's 3-leafed floor buttons. For examples of it in action, check out Sauerbraten. Created at the end of 2006 to try something that wasn't entirely made of metal, for what eventually became Strombine. Mostly featureless materials, but lots of decals for seams/ridges/stains. Created in October of 2004 for my art pass on Powahaus. 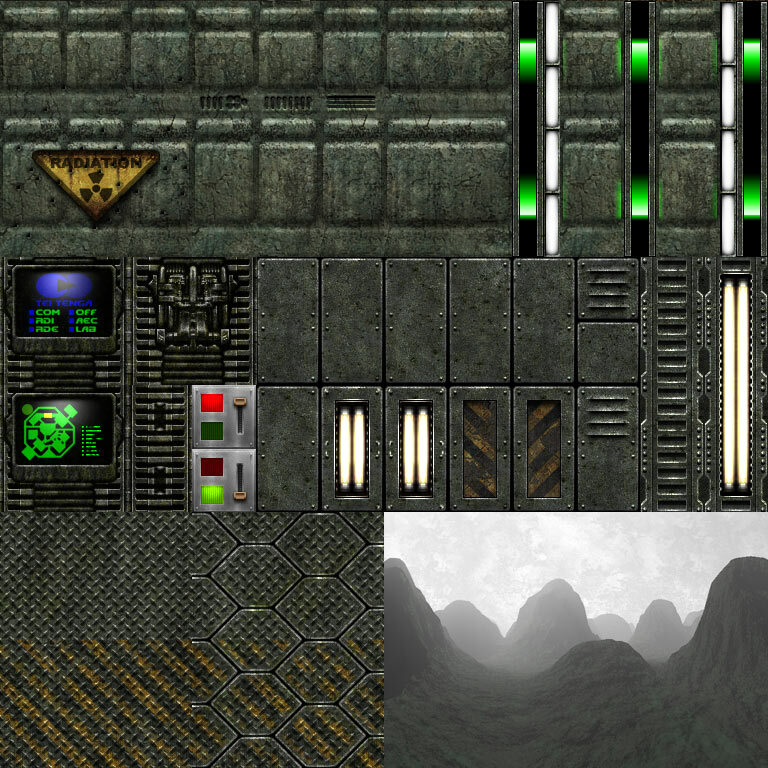 Many textures and shapes were carried over from a cleaner white set of textures for a moonbase map I had never started. Created originally for Coriolis Force over 2000 through 2002, then cherry-picked for Pull Your Socks Up/CPM23. Even more of them are included in this set. Brown. Created for Useless Bloody Loonies in spring of 2002. Based on some of my favorite shapes and elements from shareware Doom. Green. (Button texture by Andrew 'Than' Palmer). Created for Let's Drink Beer and Shoot Things in spring of 2000. According to one gamer on LvL, "Blue used to be my favorite color." 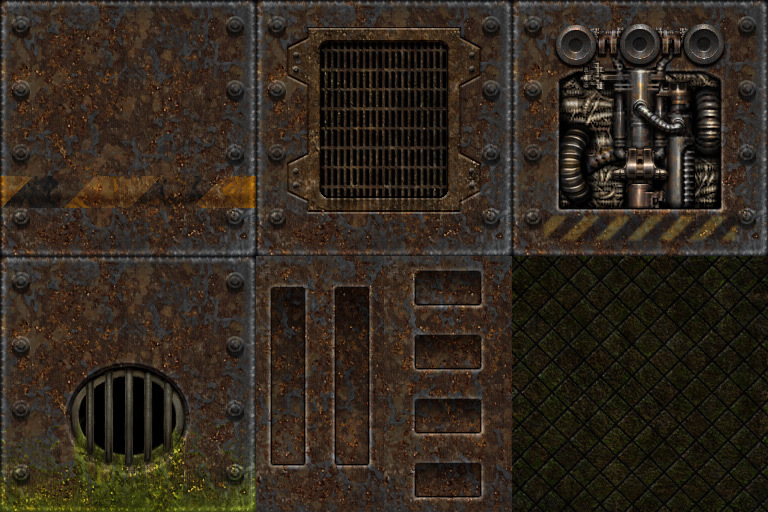 Use of these textures is not recommended. Created in September/October of 2000 for Martin "Killer" Kilcoyne's Iron Oxide. 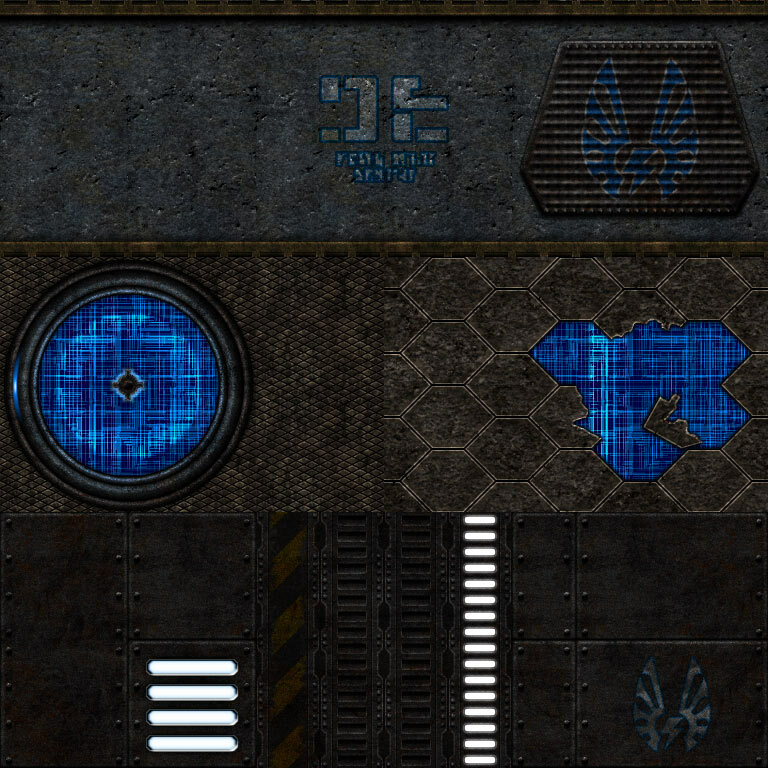 A straight and faithful conversion of the Quake2 E2U3 Waste textures.